At Convenient Dental, we provide a broad range of dental services to get you the excellent oral care you deserve. 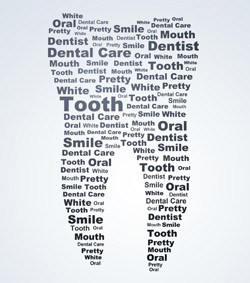 We can help you with a variety of needs, from simple routine cleanings to more complex restorative work. We enjoy teaching children healthy dental habits from a young age. The services we provide for kids include cleaning and examinations, fluoride treatment, fissure sealants and stainless steel crowns. If you are experiencing a dental emergency, you can’t wait to have your problem addressed. From providing care for every dental concern from toothaches to trauma, Dr. Viji will see you within 24 hours. If you want to alter the way your smile looks, we have conservative options that won’t compromise the structure of your teeth. Veneers are attached to the front teeth for a dazzling smile. Teeth whitening procedures leave you with a brighter look. Usually covered by insurance, these visits involve an examination, any necessary X-rays and a thorough cleaning. Dr. Viji will also show you brushing and flossing techniques, giving simple advice to protect your oral hygiene. Crowns and bridges. If your tooth needs strengthening, a zirconia crown offers support so that your underlying tooth structure doesn’t fracture. A bridge replaces missing teeth, supported on either side by the surrounding teeth. Dental implants. A nearby office completes the surgical part of the procedure. Then, Dr. Viji places the crown onto the implant. Dentures. Full and partial dentures are available to those who have the appropriate bone structure to support them. Fillings. Only composite resin, tooth-colored materials are used. Topical local anesthetic makes the filling process comfortable for you. Periodontal treatment. Reverse the signs of periodontal disease with our gentle gum treatments. Root canal treatment. Save your tooth from extraction with a root canal. Dr. Viji’s gentle hands make sure you’re comfortable throughout the procedure. Same-day and Saturday appointments are available. Contact us today!